Majorlift has considerable experience in assisting customers to meet specific requirements and resolve technical issues. 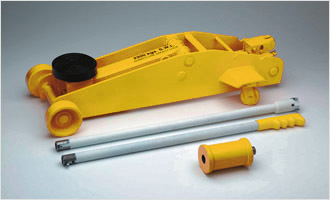 If you have a requirement that standard jacks cannot meet, talk to us. We’ll be delighted to deliver a solution. 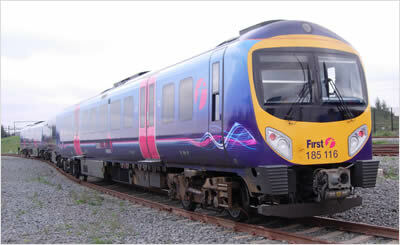 As an example, Majorlift were asked by Siemens new train maintenance depot to provide a solution to under-frame equipment handling in their existing ‘bogie drops’ for Class 185 diesel trains. Utilising their standard rams, cylinders and controls, Majorlift were able to design and manufacture a unit that could sit in the bogie drop and manipulate engines, gearboxes, cooler and fuel tanks with precision and speed. 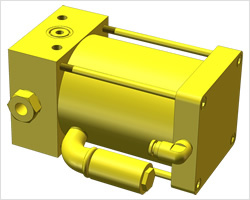 At Majorlift, we manufacture and design pumps and rams 100% in house for all of our product range. We have experience in design and the facility to manufacture bespoke pumps and rams for your applications and industries. 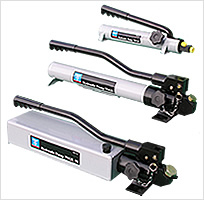 The pumps we make are hydraulic hand pumps or air powered hydraulic pumps. If you would like to discuss your project or requirements, please contact us. 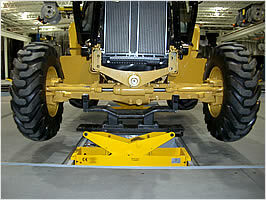 Special design and build projects have also been completed for the Caterpillar group in the UK and in the USA. This is another of Majorlift’s specials. 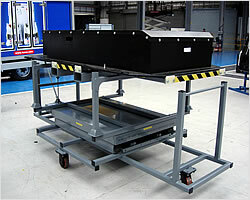 A battery lift designed and developed to safely mount an electric battery pack (weighing 1 Tonne) into an electric powered delivery van. The brief for the project was for safe one man operation. The charged up battery is replaced within 15 minutes by one operator, the customer was very pleased with the completed lift. We have the answers give us the challenge. Another current project has been to design and build a special purpose trolley safety jack in partnership with the Automobile Association. We have designed and manufactured high pressure pumps for SKF the Swedish bearing manufacturer. Majorlift designs complex lifting solution for the removal and replacement of engines, gearboxes, cooler and fuel units from the Siemens Class 185 Diesel Train. The quality workmanship that goes into every product, the efficient, safe and innovative design, together with our 5 year warranty, all make Majorlift the name you can trust. Our jacks won't let you down. Copyright © 2015 Majorlift Hydraulic Equipment Limited. All rights reserved.